Just like any other Android smartphone, we have to root the device to avail more features in the Smartphone. After rooting, you can update to Android 4.4.2 KitKat, thanks to XDA developer whitemamba users can update their Sony Xperia SP to Android 4.4.2 KitKat. But, before that please read the disclaimer and prerequisites for your safety only. 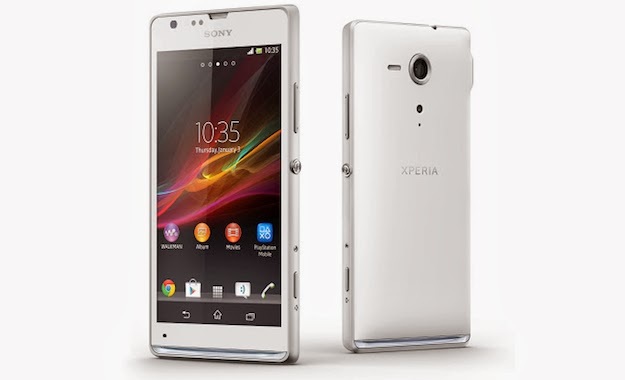 Download the latest version Android 4.4.2 KitKat for Sony Xperia SP from XDA developer thread. Put the zip file you downloaded in the SD card of your phone. After it turns off,hold the volume rocker buttons and connect your phone via USB to your PC. Your phone’s LED will turn blue,indicating that it has booted into fastboot. On your PC,extract the zip file and you will get a file named "boot.img". Now download the fastboot package from HERE and extract it. Place the “boot.img” inside the fastboot folder. Now right click inside the folder by holding shift and select "Open command window here". In the command prompt window type "fastboot flash boot boot.img". This will flash the Android 4.4.2 kernel onto your phone. Turn on your phone and start pressing the volume down key. This will boot you into Clock Work Mod recovery(CWM). With the help of volume up and down keys select wipe data/factory reset >> yes . Select advanced > wipe dalvik cache > yes. Now go back to the main menu and select install zip from sd card > choose zip > navigate to the folder where you put the zip that you downloaded early >yes. After the installation is complete select “Reboot system now“. Congratulations! you have finally updated your Sony Xperia SP.